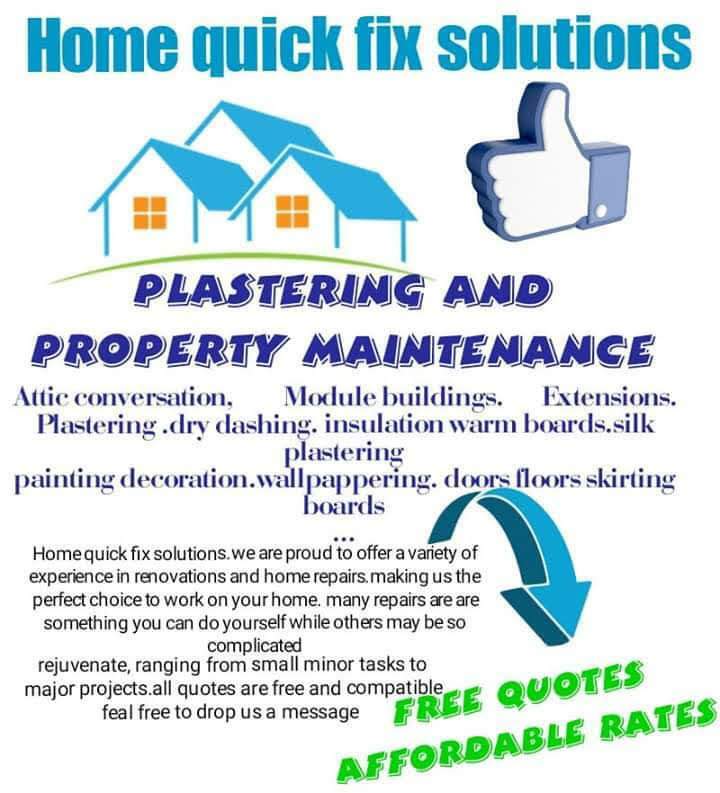 Dublin and Leinster based Home Quick Fix Solutions has the skills and experience to cover all your plastering needs for large or small areas and offers many other services. 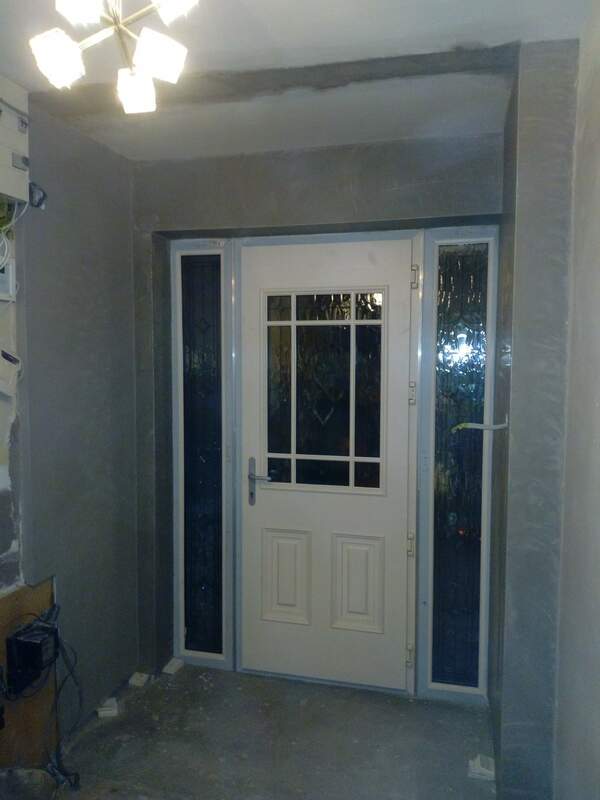 Nigel Chester is a plasterer by trade but has been offering other services like building and repairing homes for over 30 years. 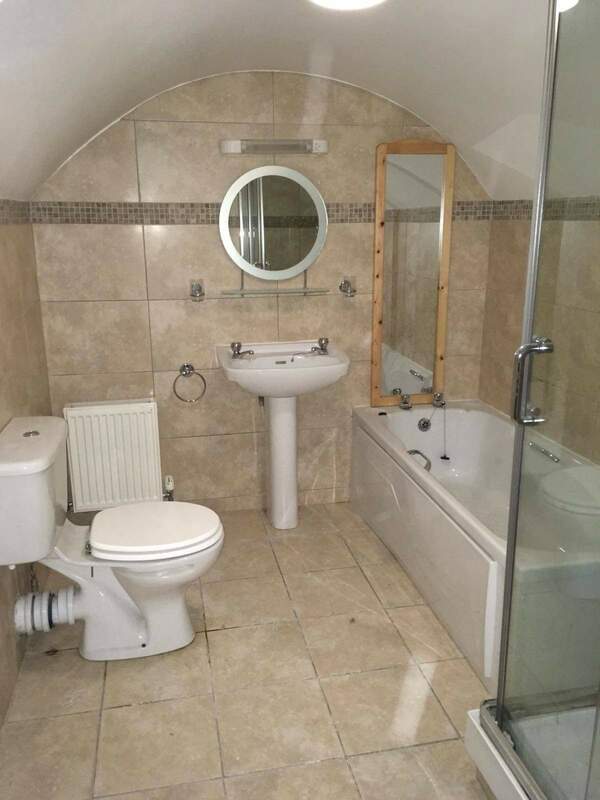 He specialises in Plastering and Property maintenance. 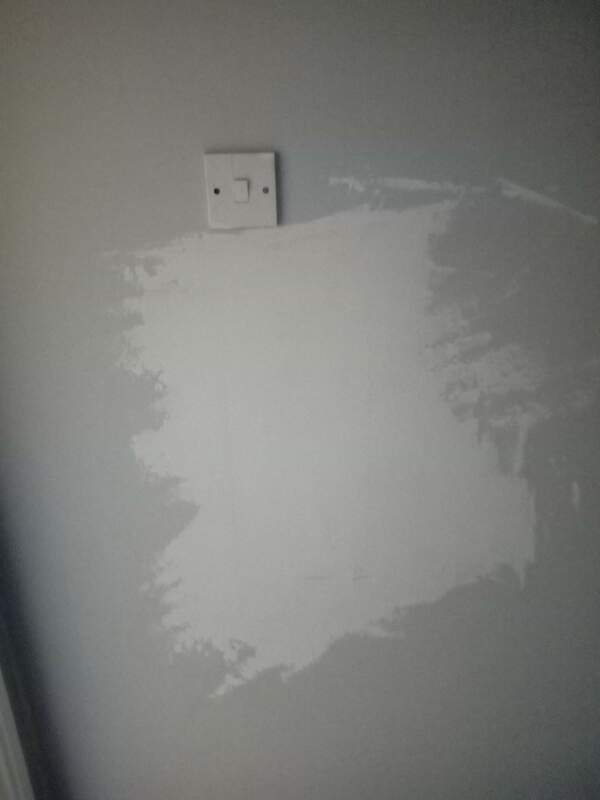 He can carry out all skimming and plastering jobs as well as all types of decoration inside the house such as painting and wallpapering. 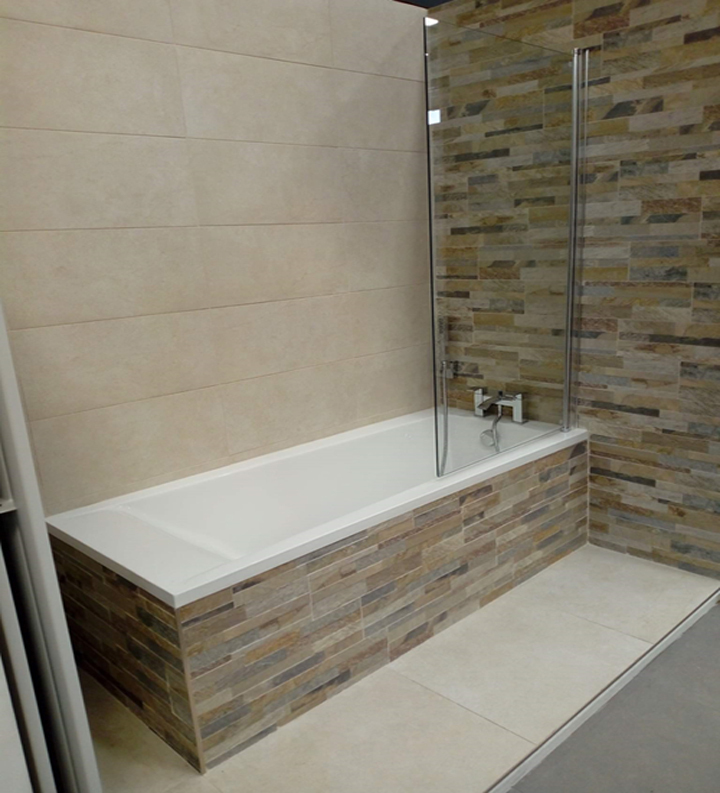 Nigel's aim is to give the customer the perfect finish for the perfect price. 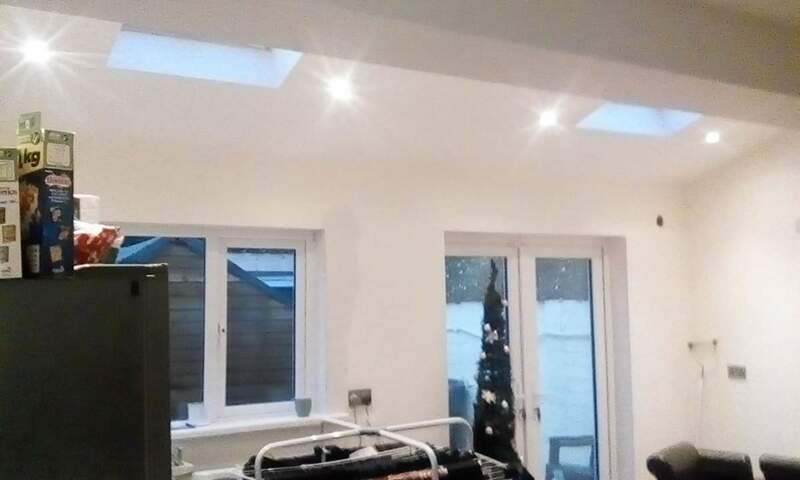 Home Quick Fix Solutions is a property repair company that covers a wide range of services from minor to major works that need to be carried out. This would include all home repairs done by friendly staff that provide a high quality of work. 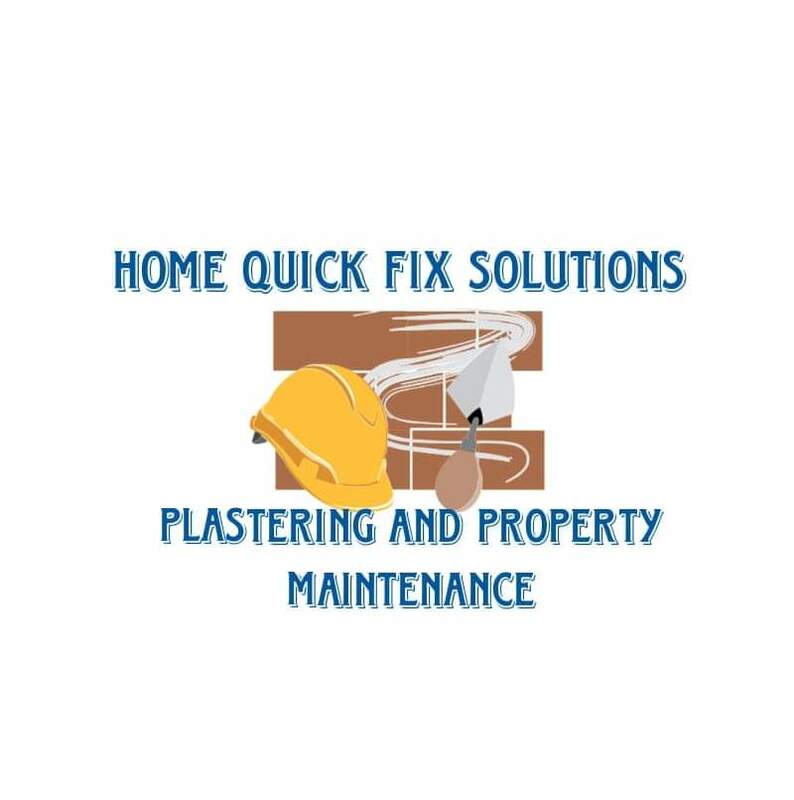 Home Quick Fix Solutions are proud to offer a variety of experience in renovations and home repairs, making us the perfect choice to work on your home. Many repairs are something you can do yourself, while others may be quite complicated. We at Home Quick Fix Solutions can provide our expertise to fix any problem which you cannot do on your own. 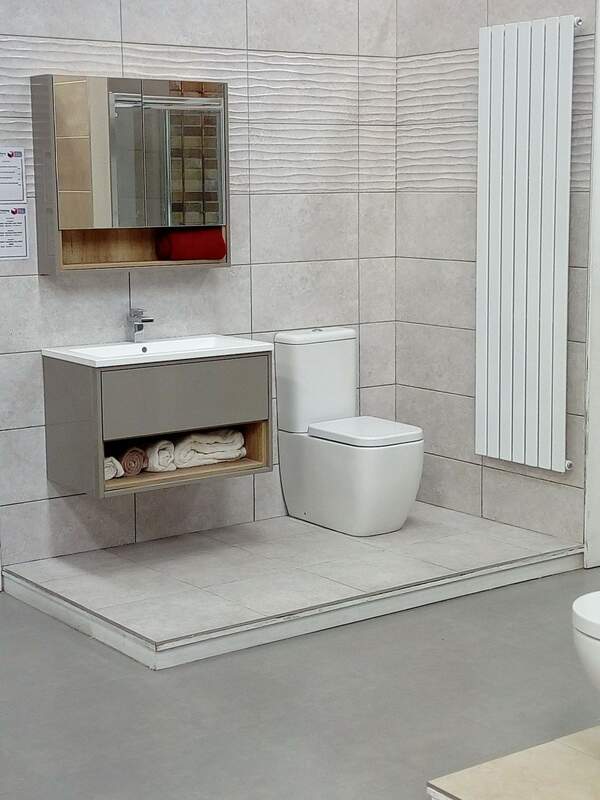 All quotes are free and competitive, call Nigel on 085 728520 today. 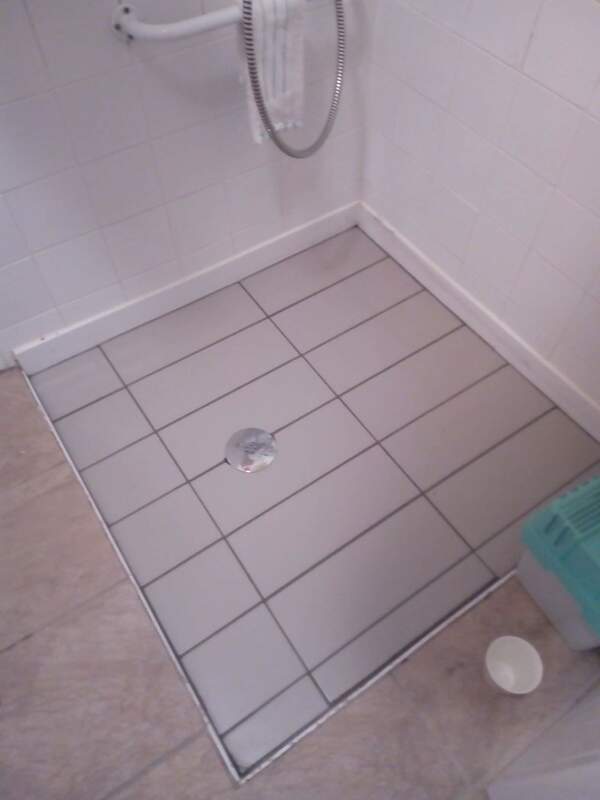 We guarantee every job big or small, with affordable rates. 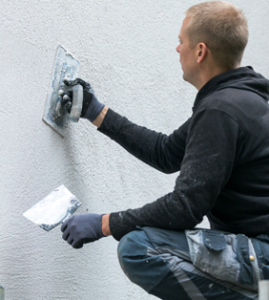 Plastering - Dry dashing, skimming, silk plastering, dry lining. 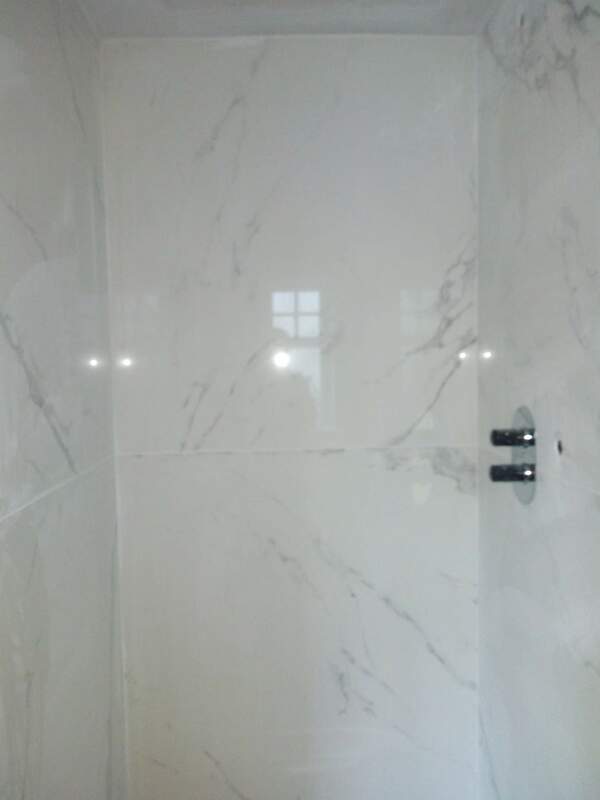 Plaster is a building material used for the protective or decorative coating of walls and ceilings and for moulding and casting decorative elements. 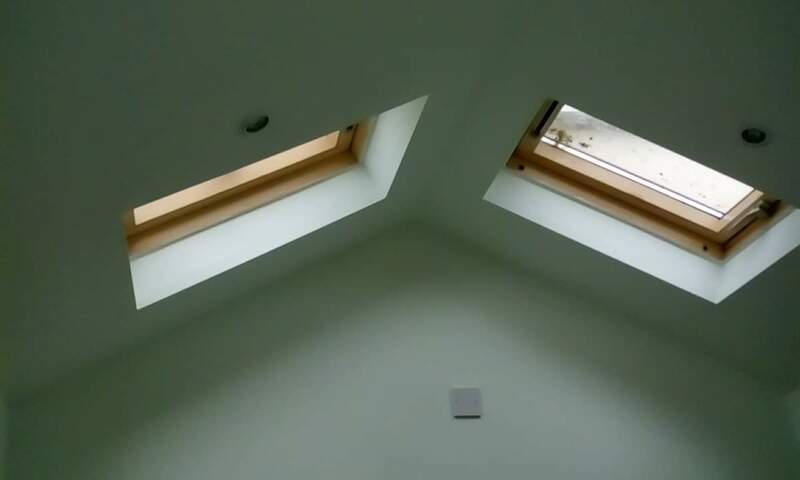 Attic Convertations - Converting your attic is a very effective way of utilizing and gaining additional area to your home. Take advantage to gain that extra living space. 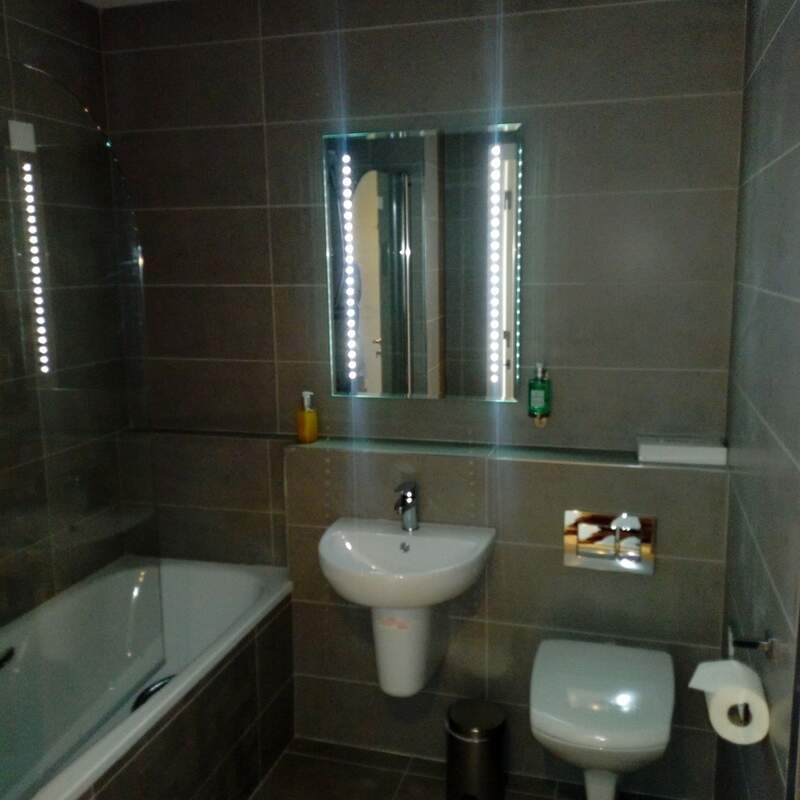 Home Quick Fix Solutions can show you how to enhance your home by creating that extra bedroom, shower room, office or whatever your needs may require. Module Buildings - Individually Designed Space Solutions, Insulated, Durable, Quickly assembled, Flexible, Stackable. Exstensions - If you are thinking of extending your home, the possibilities, in theory, are endless. 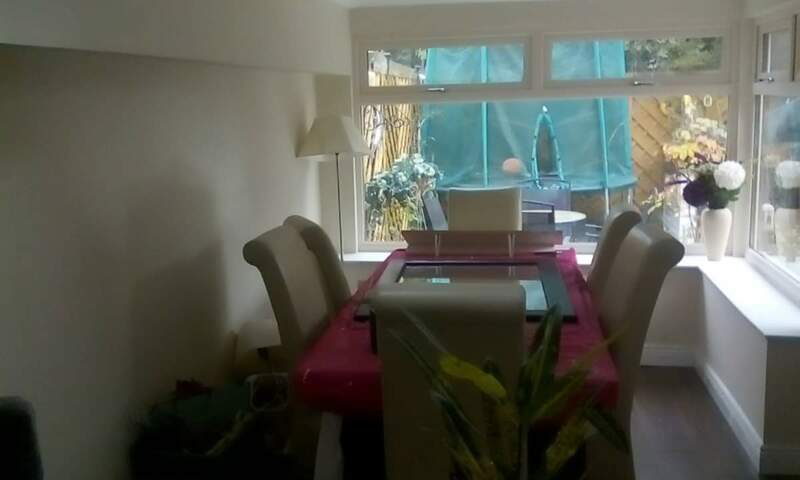 You can improve the functionality of your home with an extension. Insulation warm boards - We fit dry-lining warm-boards around the perimeter walls of your property internally. 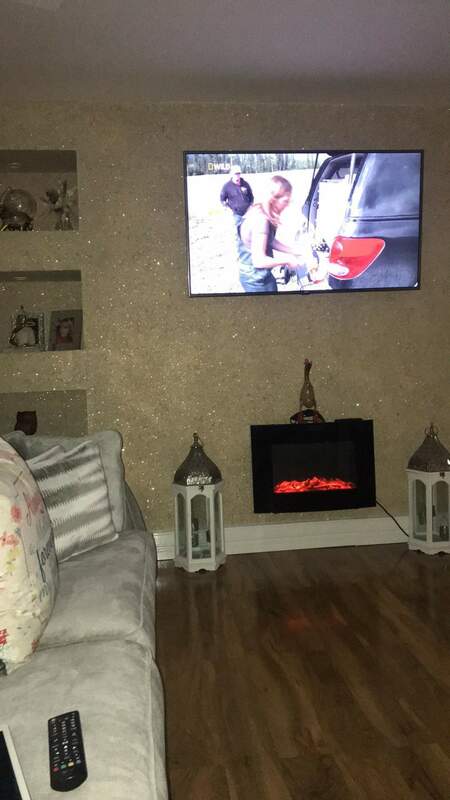 You can use dry-lining if the warmth is escaping through the walls of your home.This plasterboard will retain heat in your home and will enable you to save up to 50 per cent of heating costs in your home. Painting & Decorating - We can paint your hall, stairs and landing, kitchen and living room. Wall papering - With wallpaper comes the flexibility of wallpapering a whole room or an individual feature wall. Fitting doors - We know that replacing your internal door can sound like a complicated task. We provide an excellent fitting service to help fit all your doors. 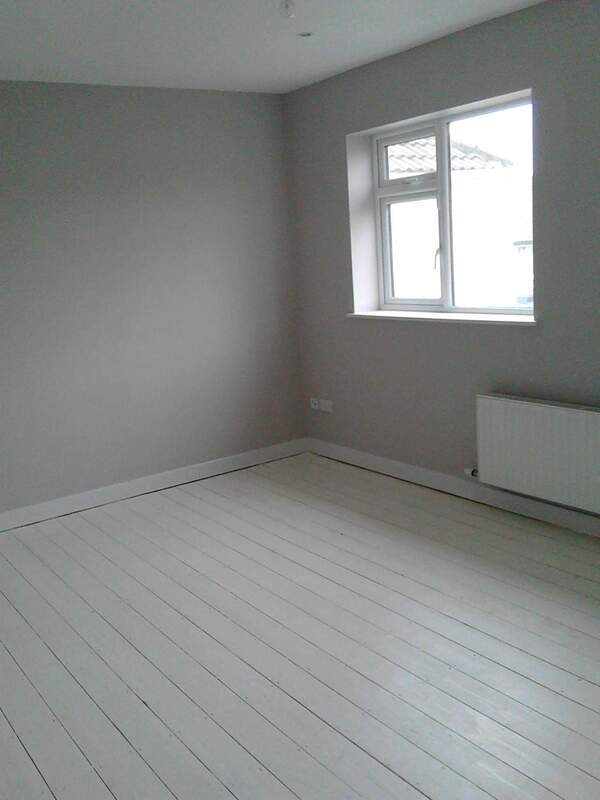 Laying floors & Skirting boards - We provide a service where we can lay wood flooring, laminate flooring or skirting to suit your needs and budget. 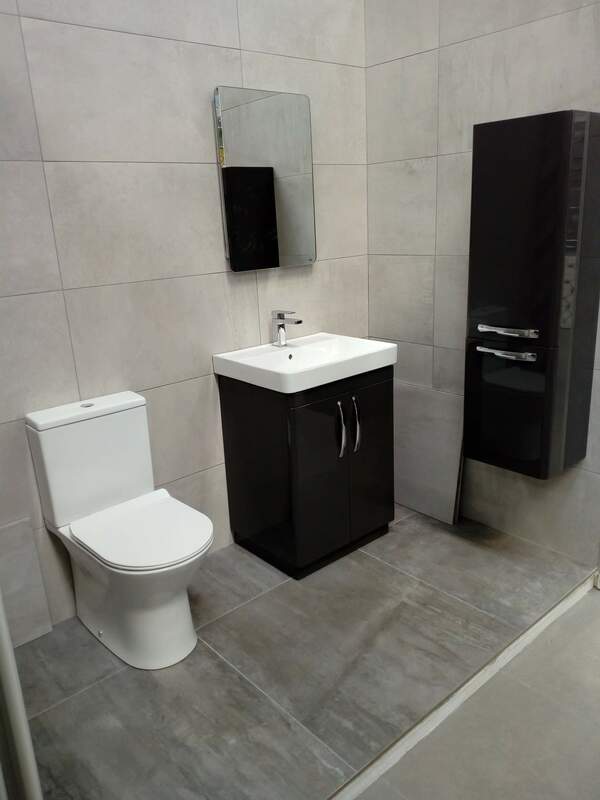 Kitchens & Bathrooms - If you are looking to remodel your kitchen or bathroom Home Quick Fix Solutions will help you transform your space. 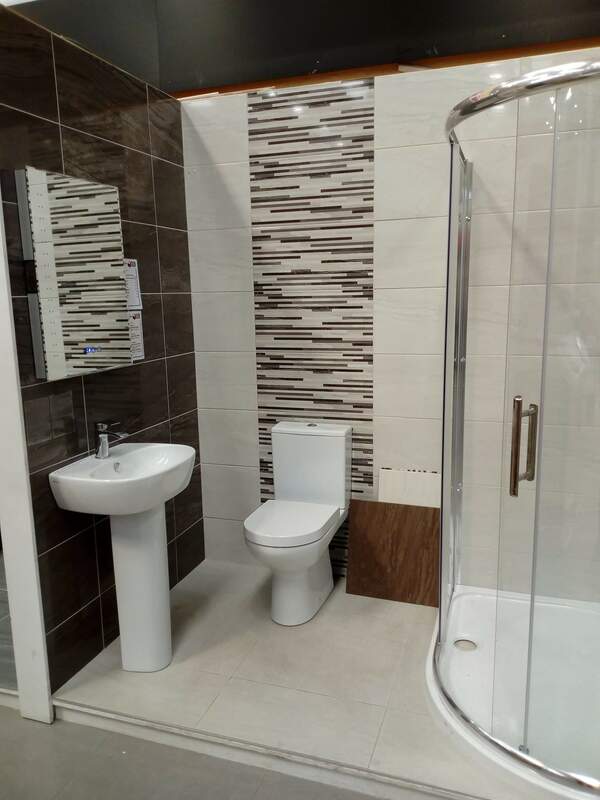 Plumbing & Tiling- All your plumbing and tiling needs catered for. We understand that your time is valuable, our support services allow you to address every maintenance requirement within your business or home efficiently. Module Buildings - Individually Designed Space Solutions, Insulated, Durable, Quickly assembled, Flexible, Stackable. Insulation warm boards - We fit dry-lining warm-boards around the perimeter walls of your property internally. 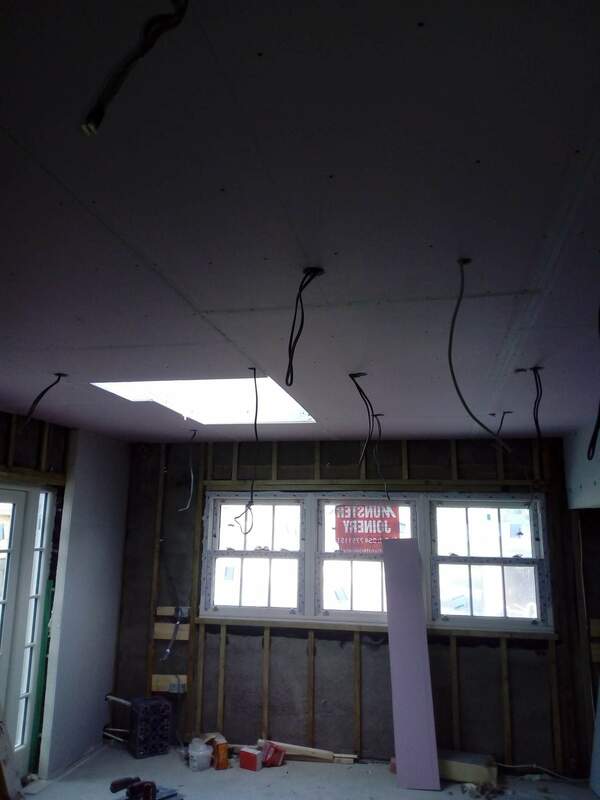 You can use dry-lining if the warmth is escaping through the walls of your home.This plasterboard will retain heat in your home and will enable you to save up to 50 per cent of heating costs in your home. Painting & Decorating - We can paint your hall, stairs and landing, kitchen and living room. Wall papering - With wallpaper comes the flexibility of wallpapering a whole room or an individual feature wall. Fitting doors - We know that replacing your internal door can sound like a complicated task. We provide an excellent fitting service to help fit all your doors. 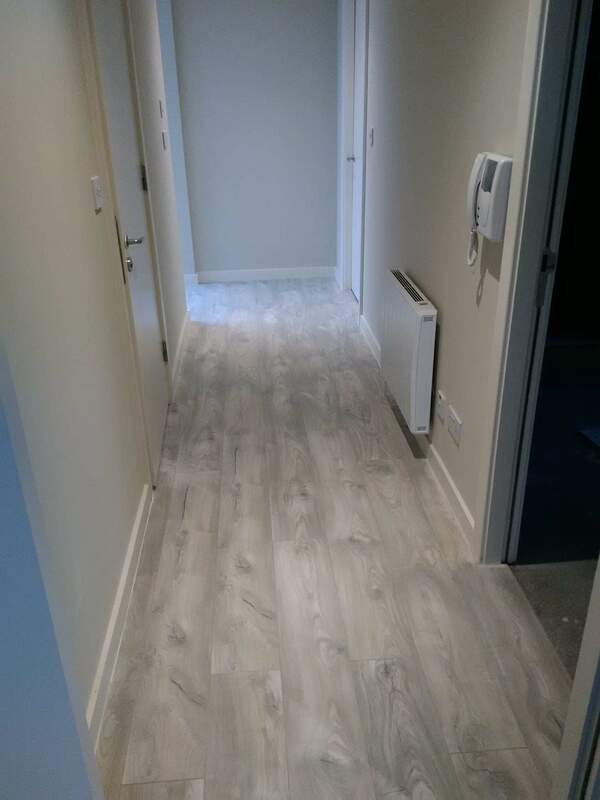 Laying floors & Skirting boards - We provide a service where we can lay wood flooring, laminate flooring or skirting to suit your needs and budget. 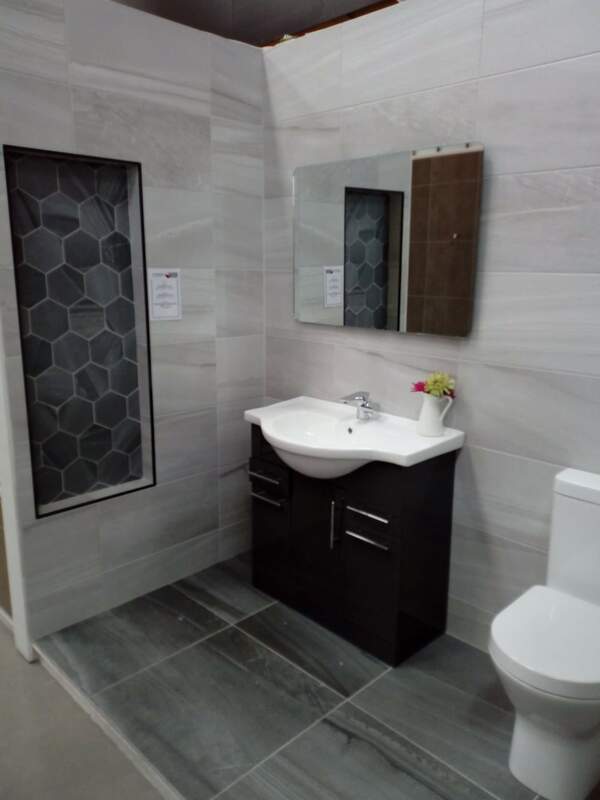 Kitchens & Bathrooms - If you are looking to remodel your kitchen or bathroom Home Quick Fix Solutions will help you transform your space.